I absolutely love my P938 SAS and carry it all the time. I have to say, being able to keep the size and carrying and extra 4 rounds is intriguing. For those of you with both, which do you prefer and why? Lot's of questions to be asked. Which do you shoot best using two hands, strong hand, weak hand? Which can you quickly point shoot accurately? How concerned are you that you may need a lot of ammo without a reload? How concerned are you about lint getting into or snagging the hammer during your draw while carrying your cocked and locked 1911 style pistol? Are you insistent on having a thumb safety? Probably a bunch more but these are a good beginning. My P938 is the reason I am not interested in the P365. It shoots great and I have no issues with a lower round count. I always carry two spare mags. I've had my 938 SAS for over five years. I've had my 365 for five months. I love and trust my 938, but it, ( along with my G43 ) has been moved to largely being a safe queen now since the 365 came home. I suppose I could carry the 938 as a back up for the 365. I've owned a P938 in the past and currently own a P365. Both are excellent guns but I must say I prefer the P365 so much that I carry it every day. I have a friend with a 938 so I got to shoot them side by side and just a side note I have been a commander 1911 carry guy for years--in my hands the 365 was more comfortable and shootable. I carry a 938 quite a bit and mostly pocket carry. I'm curious to know how many ounces the 365 weighs loaded with ten rounds? Particularly since I pocket carry. 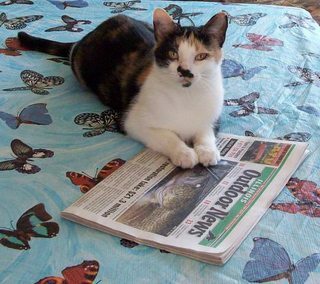 I have not been able to ascertain this in any of my reading. Lets do it this way. Doesn't answer your question, but at least you'll get a feel for how the two compare in total weight. Thank you Cobra that does help. I probably could comfortably pocket carry a 365. I may just go on the prowl for one. That's what I've been looking for .......thank you. 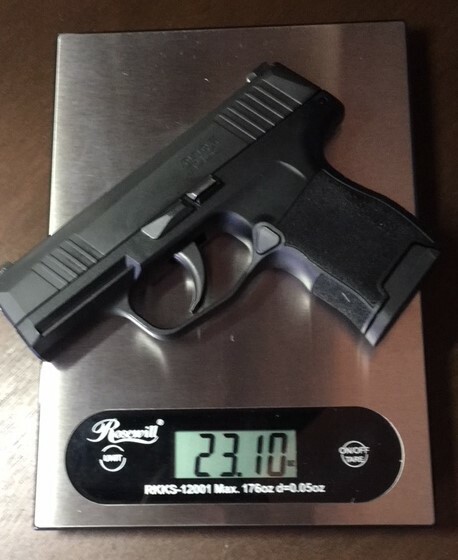 My Sig 938 tips the scale at: 21.2 oz with 8 rounds. I guess that's close enough! Until the 365 reliability issues are ironed out, and I'm confident they will be just like the early versions if the 938, I'll be sticking with my 938. I own both and both are fine accurate pistols. I have been carrying the P938 until I got my P365. I have total confidence in my P938. I am carrying my P365 which has been flawless so far after 500 rds. In the back of my mind there lingers the doubt with the P365 having so many bad stories. Not liking polymer or striker fired pistols I will continue to carry my P938. It is in my pocket as I type this post. I sold my P938 shortly after getting it. Five, seven, ten yards it would not shoot point of aim. In fact the best it ever did was 3" left, 4" low. I had two friends try it as well (all three of us have shot competitively). Same results.... ammo made no difference. My P365's (yes, more than one) have shot very well and handled anything I put through them. Mine gets carried with HST 124gr +P's. Same load in my wife's. I love my P938 Blackwood. At 15 yards and less, I shoot it as well as most of my full sized pistols. It is accurate, has night sights, is flawless in functioning, easy to conceal, comfortable to carry and good looking. Being a 1911 enthusiast, the mini 1911 P938 suits me more than any striker fired pistol ever could. I have no interest in a P365. Sorry you had that experience with the 938. My SAS shot some nice small groups at 25 meters, I was really shocked at the accuracy. What type of ammo did you use? I was firing 124gr. +p Rangers. I had both the P938 and P365. Ended up selling the P938. 6) P365 trigger style is more similar to my P229 and P224's, vs. P938's 1911-style trigger. Due to the above reasons, I now carry the P365 in my pocket/in a belly band when I jog, etc. Hope these help! I have been considering the same switch. My go to carry gun is the 938 SAS. The 365 does look attractive to me though. I waited for the 938 to get ironed out, and mine is flawless with amazing accuracy for a little gun. Still the 365 is intriguing to me, as long as it runs.